Jihad Watch : The Australian political elites are here trying to prepare Australians for the future they envision for them. The Department of Foreign Affairs and Trade has been slammed for its decision to sponsor the ‘modest fashion’ industry including the hijab and burqa. DFAT promoted an Australian-made Islamic clothing exhibition this month, describing the invention of the burqini swimsuit as ‘ground-breaking’. The taxpayer-funded department described the Islamic clothing market as ‘booming’ in Australia. DFAT’s promotion of the industry sparked outrage from the Australian public. 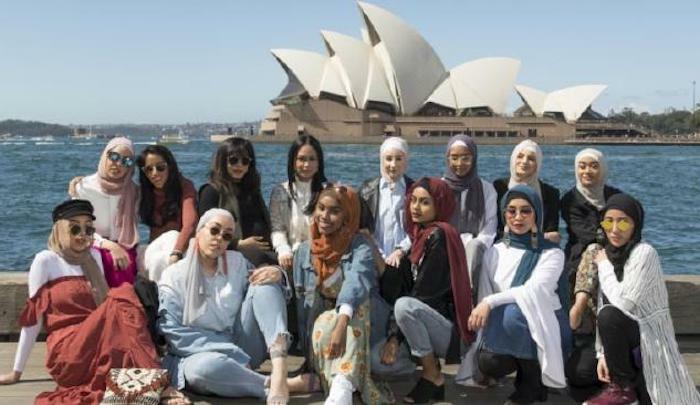 Taking to Twitter in response this week, one man asked: ‘Why are you supporting the oppression of girls and women?’… In its promotion, DFAT praised the ‘booming’ modest fashion market saying it ‘ beautifully showcased Australia’s contemporary and inclusive society’. ‘The rise of the ‘hijabista’ presents valuable opportunities for Australia. Apart from the obvious economic benefits, the emerging modest fashion market can help advance Australia’s public diplomacy objectives,’ DFAT said.